Carpeting can add a feeling of comfort that no other type of flooring can offer. It's softness makes it a one of a kind floor covering material. Whether it be wall to wall or just an area rug it gives your home that welcoming feel. But with so many choices where does one start? Well the first place to start is learning the different types of carpets and pads available. It is important to consider both prior to making your decision. It is important to figure out your budget in advance. But as important, you will want to purchase the best you can afford especially in high traffic areas. This will ensure the longest life cycle. Don't forget to figure the installation into your budget. Finding a good carpet installer can sometimes be a challenge so do your homework before hiring. The pad is the foundation. The purpose of the pad is not just to make it feel "cushy" but to absorb the impact of the footsteps. This transfers down through and therefore saving wear and tear. The industry has set a maximum recommended thickness of 7/16" and not less than 1/4" for pads. There is a misunderstanding about pads and the industry itself is somewhat to blame. Poor training and shady salesmanship make it difficult to know what the right choice is. Keep in mind that along with its durability, pads provide additional acoustical and insulating properties. Firmer pads should be used in areas of high traffic whereas bedrooms and areas less traveled can have thicker softer pads. Cut pile is the most popular type sold today. The construction and the fiber type will determine the overall performance. Below is a list of construction as defined by The Carpet and Rug Institute. cut pile - the face is composed of cut ends of pile yarn. loop pile - having a pile surface consisting of uncut loops. May be woven or tufted. Also called “round wire” in woven carpet terminology. level loop - pile loops are of substantially the same height and uncut, making a smooth, level surface. cut & loop pile - the face is composed of a combination of cut ends of pile yarns and loops. When making your selection, consider the cut as well as the fiber. Look at the number of twists in the yarn pieces. The number of twists affects the performance. The more twists the more density and therefore the better the performance. Also look for the stain protection and static guard. Don't be fooled by false representation. Many salesmen will try to pass off Stainmaster carpets that are not. Nylon- the best choice for high traffic areas due to its resilient ability to bounce back. 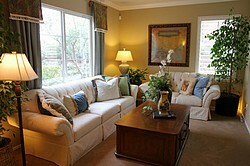 It is also resistant to stain making it the most widely purchased type of carpet. 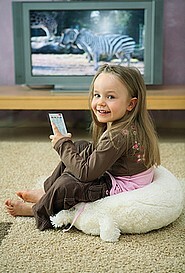 Olefin (polypropylene) - relatively inexpensive, olefin fiber carpets are known for their color fastness. They are extremely easy to keep clean and resists static electricity. Polyester - an inexpensive option to nylon but is not very resilient. It is however more resistant to staining. Wool - a natural fiber has been a prominent presence in the industry for decades. A more expensive choice; wool fiber gives you the best of all options. They are durable, resilient and offer the most comfort. 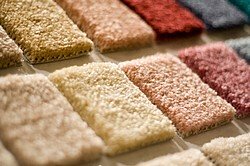 There are also several different types of blends available such as acrylic/wool, nylon/wool, acrylic/olefin and nylon/olefin. These can be good choices as they offer the best characteristics of each type of fiber. There aren't too many disadvantages to this type of flooring. One of the disputed is whether or not they are bad for people with allergies and asthma. The argument continues today with the The Carpet and Rug Institute claiming that carpets are actually better for indoor air quality than hard surface floors. Because they trap allergens and dust within the carpet to be vacuumed rather than spread through the air. The advantages are many. It is available in thousands of styles and colors as well as having a range to fit every budget. Similar to the pad, it has insulating and acoustical properties. The biggest advantage however as mentioned earlier is it offers a warmth and comfort that no other floor covering can.